Regular readers will know that I’ve been pretty slack in posting here in recent weeks. Just the same old boring reason – lots of “real” work to get done and, as much as I enjoy it, blogging necessarily floats to the bottom of TODO lists. 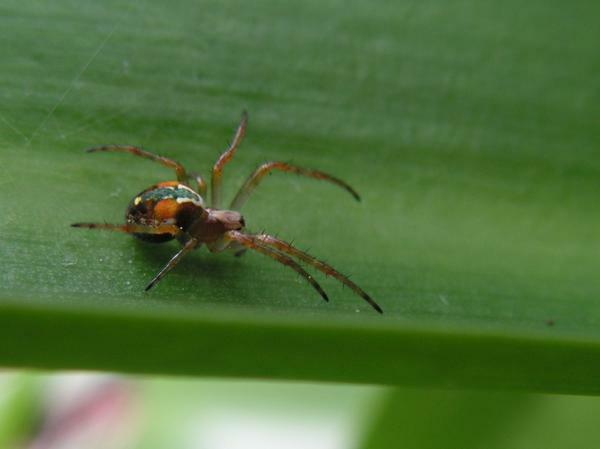 It’s an orb-weaving (araneid) spider, a relative of the familiar garden spiders like the very common Eriophora pustulosa that spin orb-shaped webs and catch unlucky flying insects. I can’t be sure on the identification of this one, but I reckon (with some support from twitter’s resided spider experts, , ) its a species a species of Novaranea. 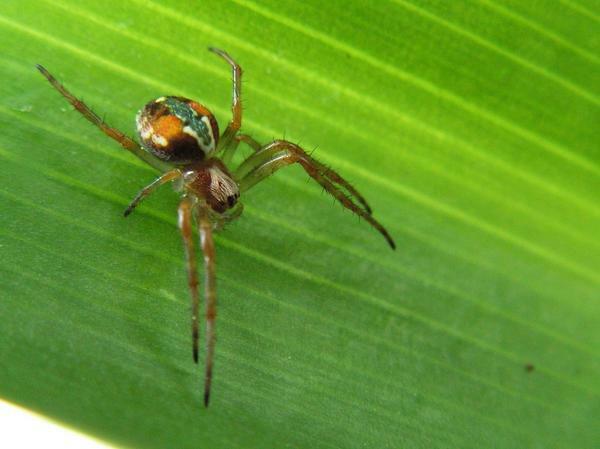 According to Ray and Lyn Foster’s Big Spider Book New Zealand Novaranea species are most commonly encountered in in grasslands and tussocks, so perhaps this one blew in from the tall grass that covers some the abandoned gardens in our block.